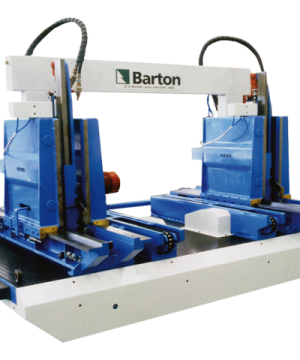 Barton’s CPT–ECO serie log carriages with independent headblocks are characterised by the robustness of their construction. They are able to function under the harshest working conditions both with hard and soft woods. The carriage advances by way of a differential servomotor and transmission chain. Also available with a hydraulic motor. A log edgebander per headblock. A single log turner with chain per headblock. Maximum aperture 90°. Weight limit: 1,850 Kg. The movement of the towers is controlled by way of independent servomechanisms, thus permitting faster positioning and alignment. 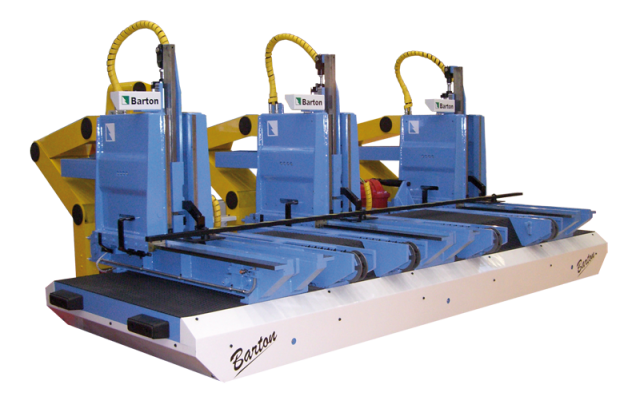 An automatic log alignment system, which allows for greater speed and a better use of the log. 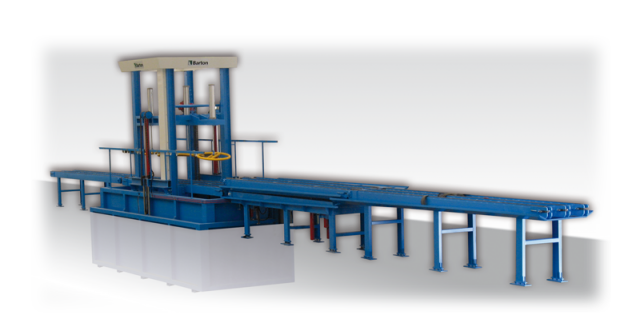 Profile scanning, measurement of volume and cutting pattern of the log via the use of a 2D System. Number of headblocks variable from 2 to 4. Hydraulic (CPTH) or pneumatic (CPTN) fastening system with rack and pinion blocking mechanism. 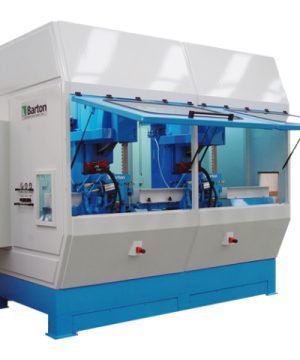 Cutting speed: 0 – 100 metres per minute. Operator’s panel with ergonomically designed seat including measuring equipment with touch screen. All the carriages are equipped with a touch screen terminal control. Carriages meet EU safety regulations.